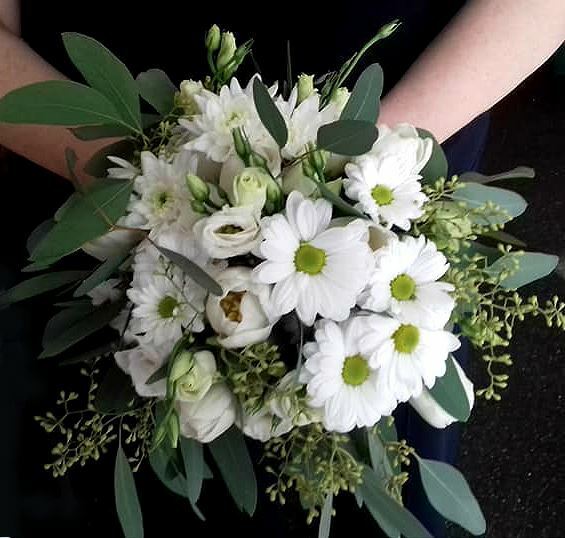 Wedding bouquet in white colors-eustoma, tulips, chrysanthenum, eucalyptus and more. Created with an artist's eye and bringing a sophisticated drama to your bridal style, this wedding bouquet is dreamy and romantic in just the right way to celebrate this special day of love, commitment, and new adventures. 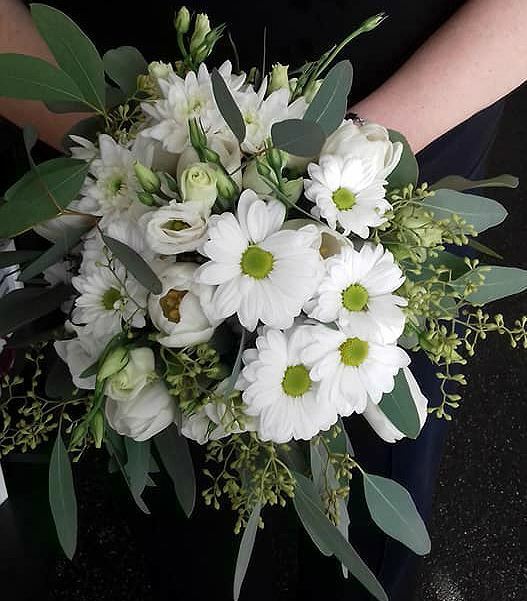 Blossoming with a blend of white chrysanthenum, eustoma, white tulips and more, this romantic arrangement is accented with eucalypthus, pistasia and more. Truly elegant, and styled to create that perfect wedding look. Bouquet is Approx. 14"H x 14"W.